I’m a different Michael than you usually see in this space. Let me tell you why we’re shaking things up and who I am. Mike McGarry, whose valuable posts many of you look forward to, will still be posting but not on quite the regular schedule that he’s maintained for years. He’ll be devoting much of his time and energy to improving our already-excellent lessons. Curriculum is Mike’s main responsibility here at Magoosh, and so he’s a big part of an ongoing significant revamp. I’m going to help out with blogging in the meanwhile. I’ve been a teacher since 1979, when I was a sixteen-year old peer tutor for the Oregon Literacy Campaign. [Let’s see…2014-(1979-16)=…old.] I’ve taught test-prep since I was an undergrad at UC Berkeley, when I was the Head Teacher for the Berkeley office of a big, national test-prep company. You know the one. 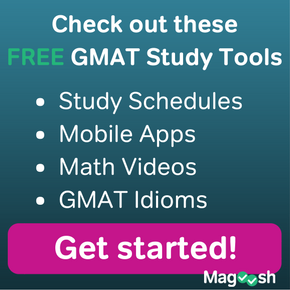 I later wrote and taught my own GRE, GMAT, and LSAT courses, which I offered through three universities. Several years ago, I wrote and edited questions for a company in the “online test-prep space,” as they put things in that sector. That enterprise was later purchased by the same big, national test-prep company. You know the one. 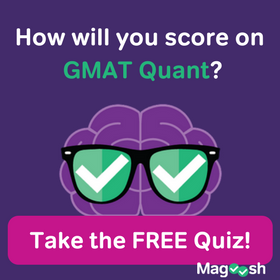 I also worked as a teacher, tutor, and curriculum developer for the leading boutique GMAT-prep firm for several years, until they too were purchased by the very same big, national test-prep company. You know the one. I did other things during all those years too: grad school in philosophy with a designated emphasis in Economy, Justice, and Society; teaching high-school math and English; running a few marathons; passing the tests to get on Jeopardy and Who Wants to Be a Millionaire but blowing the interviews; raising kids and cats and dogs and chickens. 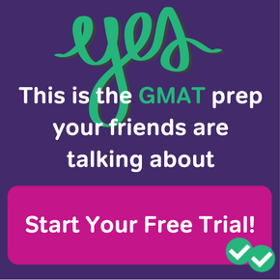 I’m looking forward to bringing some of that experience to bear on your GMAT prep. I’ll be here just about every day, writing about the test. I’ve got a list of important topics to get to, but I can always push those topics back if you have more pressing concerns. Our excellent staff will monitor your comments, answer your questions, and let me know when you have good ideas for blog topics.